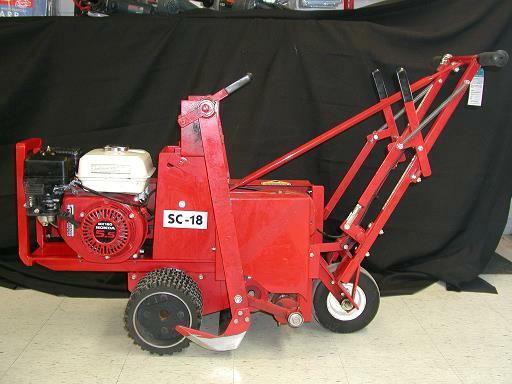 5.5 HP HONDA 18" CUTTING WIDTH, UP TO 2.5" CUTTING DEPTH. 160cc Honda OHV Engine, Gear DriveTwist Grip Throttle Provides Adjustable Speed Control and Goes to Idle, Stopping Machine Movement When Released; Front Knobby Tread Drive Wheels Ensure Better Traction and Eliminate Dirt Build Up. * Please call us with any questions you may have about our sod cutter gas 18 inch in Hamel MN, Plymouth MN and the Twin Cities.